Crenshaw is not on our side and Giuliani isn’t even white. I don’t really care about post-Vietnam veterans anyway, just more welfare leaches tbh. Wanna go kill brown people for Jews then come home and whine about it? 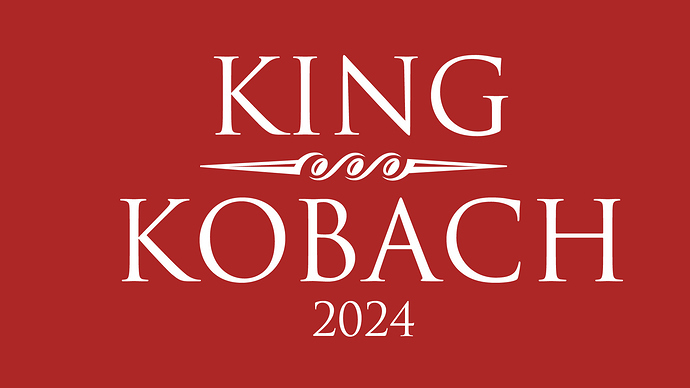 I might write in King and Kobach. Was going to write in Hitler and Dr. Pierce, but these may be better/more practical. If King were to run, King could pull a good bit of Trump voters away and cost Trump during the primaries. I think Trump has solidified the R lemming vote and can’t lose the nomination, but King would be the best shot at costing him a state or two. Trump would be embarrassed about that, with his little hands and fragile ego. Yeah if done in masses, spamming or whatever they’ll turn their heads on to that issue. However, I predict that we will have racist civil war coming soon and America will be balkanized. Then u will have higher chance to run for a place in a white controlled territory. But anyways, this article from daily stormer is a good read related to this topic. This shows how easy to run for government office.